If you are a SAP Implementation partner or solutions and services provider, Blue Mail Media’s SAP Users List can help your business gain the required traction in terms of your multi-channel marketing efforts. Our database gives you access to comprehensive data to reach your target audience via telephone, email or mail. This not only expands the scope of your marketing communication but also significantly boosts your campaign response rate, conversion rate and returns on investment. 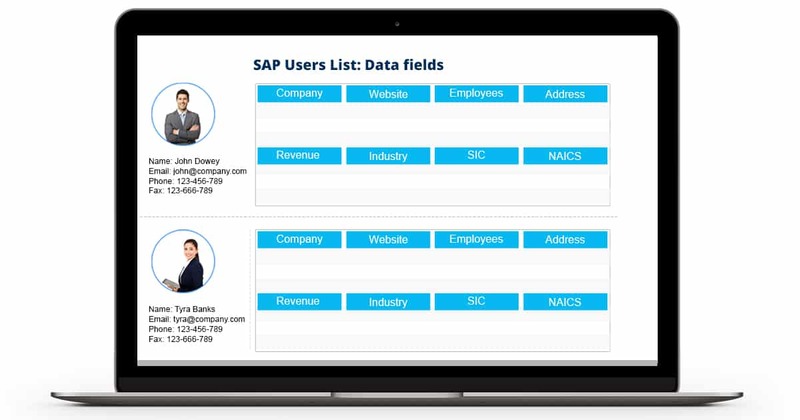 Our SAP Customers Mailing List covers a comprehensive overview of SAP customers from across major technology markets such as North America, Europe, ASIA, Australia, New Zealand, Africa, Middle East and South America. You may order your list based on the region and product of your focus and we will traverse an extra mile to provide you highly accurate and reliable data. Our widespread presence and established data partners’ network across the globe enables us to deliver quality data irrespective of geographical constraints. Also, Blue Mail Media houses a skilled team of data scientists, analysts and experts who acquire data by all the right means and derive intelligence to facilitate seamless connections between organizations and their prospects. We give our clients the required flexibility to choose from our pre-packaged SAP Users Email List or a Customized list based on certain specifics that align with your business specific needs. Blue Mail Media gives you enough flexibility to choose from our pre-packaged List of Companies Using SAP or a Customized list based on certain specifics that align with your business specific needs.